1.Search for the "Smart Life" on the App store or Google Play. You can also scan the QR code in our User Manual provided. 2.Register/Login to the App using your phone number or email address. Averification code will be sent if you are attempting to register. 3.Select Add Device or the "+" icon. 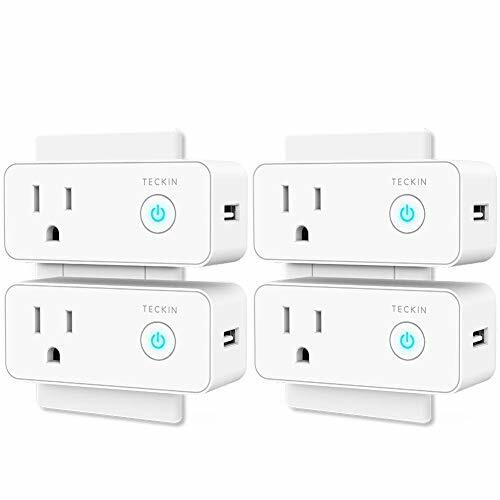 4.Connect your device to a socket and Long press the on/off button for 5-6s until the light flashes. 5.Select the device and tap "Confirm indicator rapidly blink". 6.Input the WIFI password to your device and then tap "Done". 1.Only support 802.11b/g/n 2.4GHz Wi-Fi, not support 5.0GHz Wi-Fi. 2.Compatible with Android 4.1 and higher or iOS 7.0 and higher. Teckin aims to reach the highest limits of customer service excellence! If there is ANY REASON why you are unhappy or unsatisfied with any of our products, we guarantee you a replacement within 12 months.